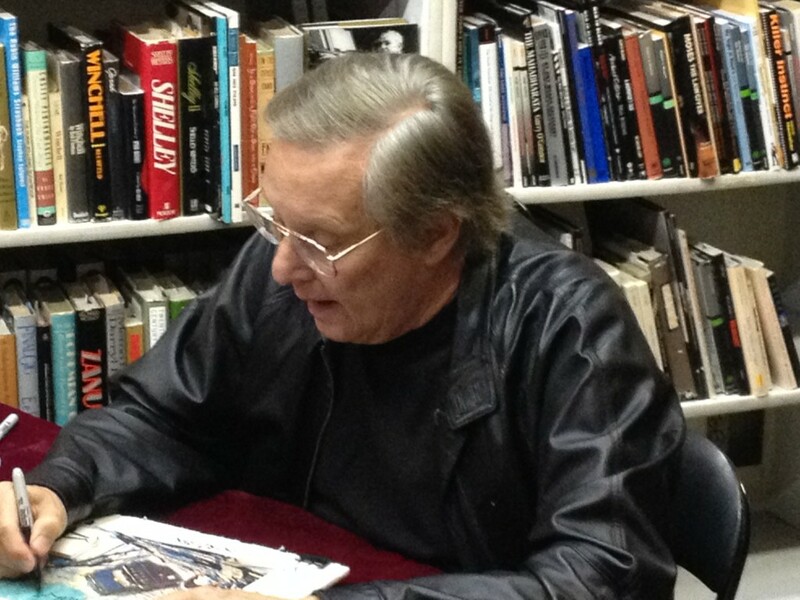 Whenever Director Bill Friedkin drops in to Larry Edmunds Bookshop in Hollywood to sign some of his books the fun and banter will certainly liven up the place. This hot July night was especially good, as book shop owner Jeff prods Friedkin to do a public service announcement to plug the store. Friedkin, meanwhile, is annoyed at the “ebayers” who want him to sign an astonishing array of memorabilia they have dredged up, or put some strange inscription on an item. This all makes for some colorful conversation. Hence a warning for strong language. There is a reason why Friedkin has a huge fan base around the world. His lovable, opinionated style sets him apart – his honesty is refreshing in the mucky realm of Hollywood spin. Click here to go to Larry Edmunds Bookshop. They may still have a few signed copies of The Friedkin Connection. Click here to go to youtube to watch Off the Cuff. This entry was posted in Books, Celebrities, Events, General, Video and tagged Book Signing, Director, Hollywood, Larry Edmunds Bookshop, The Friedman Connection, William Friedkin. Bookmark the permalink.